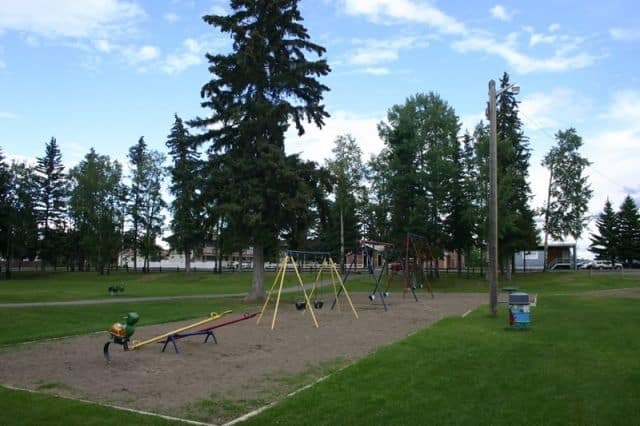 Ferland Park in Vanderhoof, British Columbia, Canada is one of the small play parks in the community that is visited regularly by locals and visitors with children. The unsupervised park includes a children's playground, water park (spray park), memorial monument... and, is often, the site for community events throughout the year. 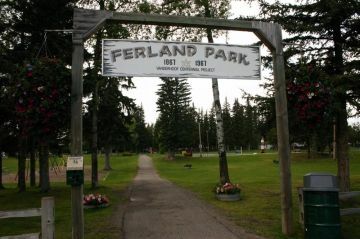 Ferland Park is a central playground and picnic area that is easily accessible while in the community. 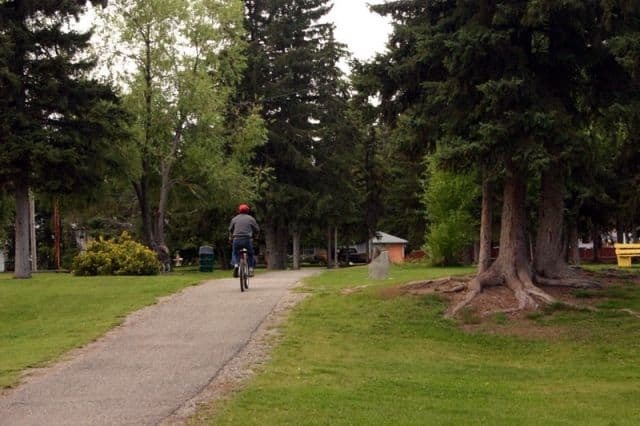 A walking path dissects the park, connecting streets, directing people to the various play areas in the park like the Kinsmen Spray Park (water park). The park includes some amenities that make a day in the park more comfortable like public washrooms and change rooms, some picnic tables, sitting benches and a playground with swings, slides and climbing structures... and, of course, a water park. How to Get Here: Once in the community of Vanderhoof, British Columbia, Canada start driving down the main street of Burrard Avenue and take a left onto Columbia Street. From Columbia, your first right turn is Church Street. Take it. The park should be in view at this intersection. Park your vehicle on the side streets and walk on in.